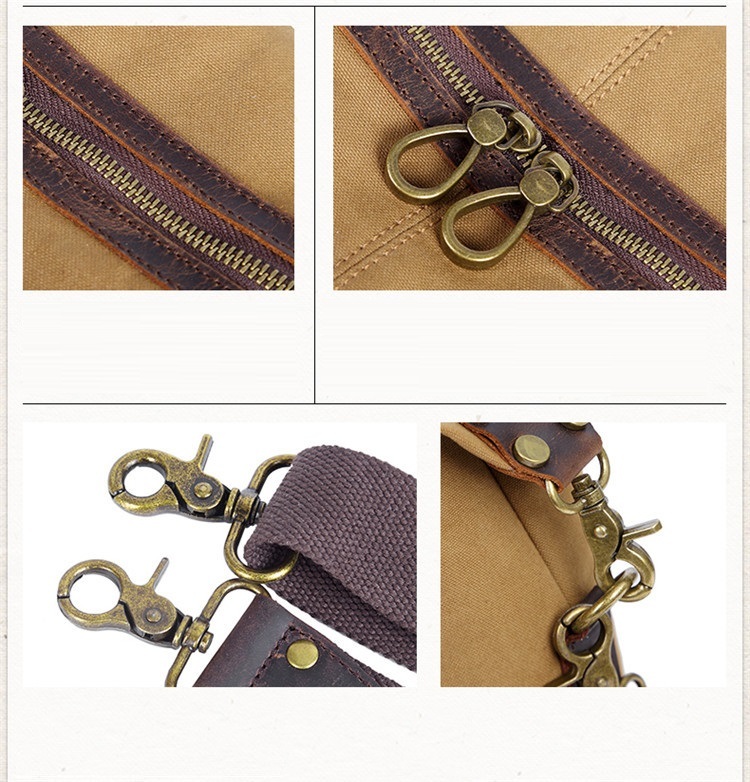 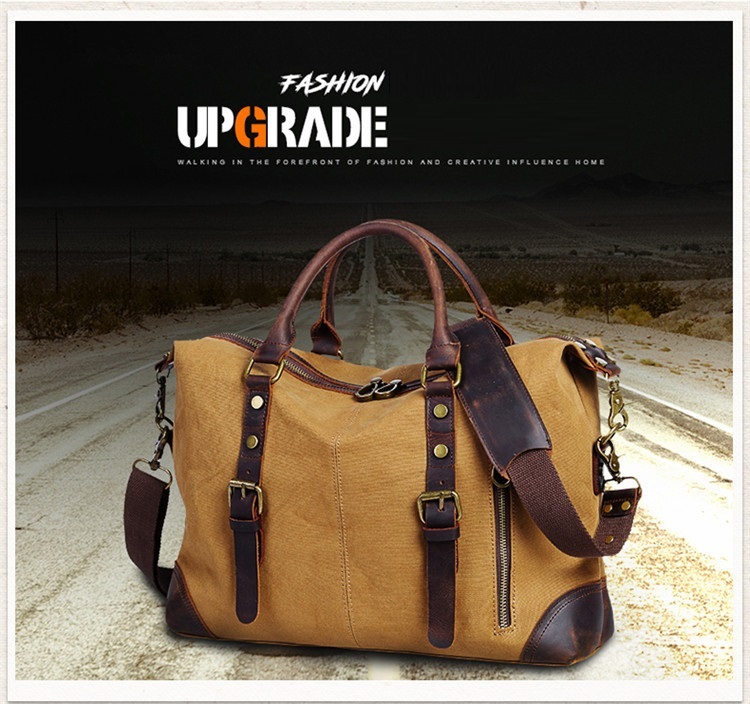 MATERIAL: Thick and Hard-wearing Canvas Fabric and real Genuine Cowhide Leather, with Brass Buckle and Accessories, Top Quality Satin Silk Lining. 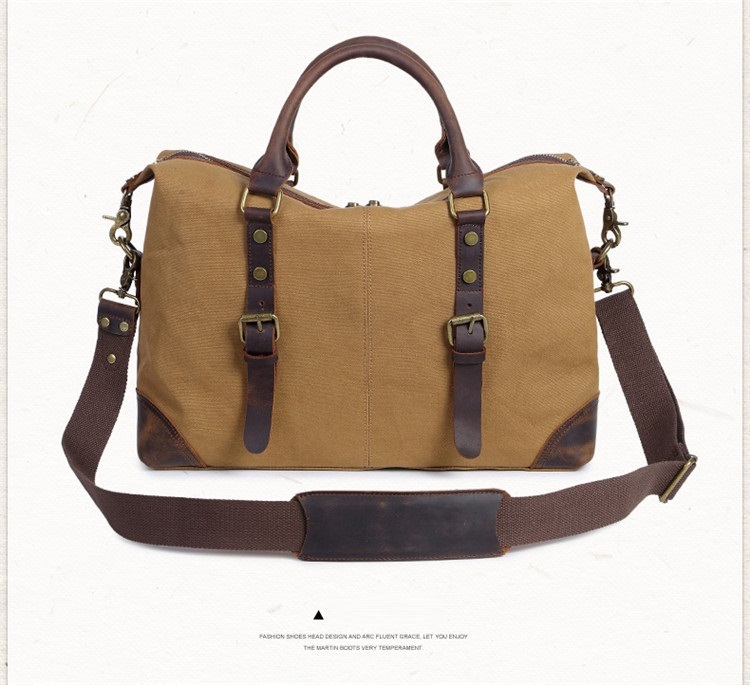 PLENTY ROOM FOR ORGANIZING: This leather messenger bag has many pockets to meet your various need. 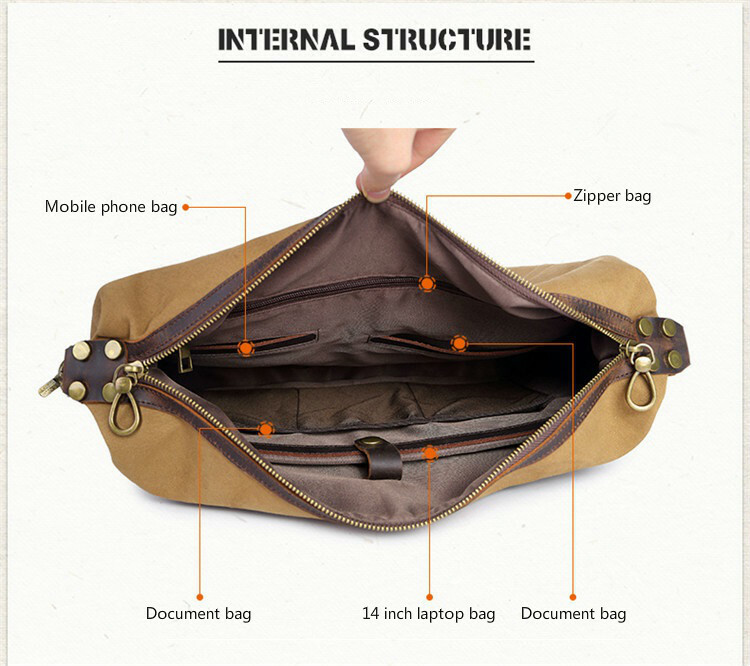 1 large main compartment, 1 laptop compartment，1 inner zipper pockets，5 inner slip pockets and 1 outer zipper pocket for putting your bottle, umbrella, cards, wallet, laptop and anything in their right position. 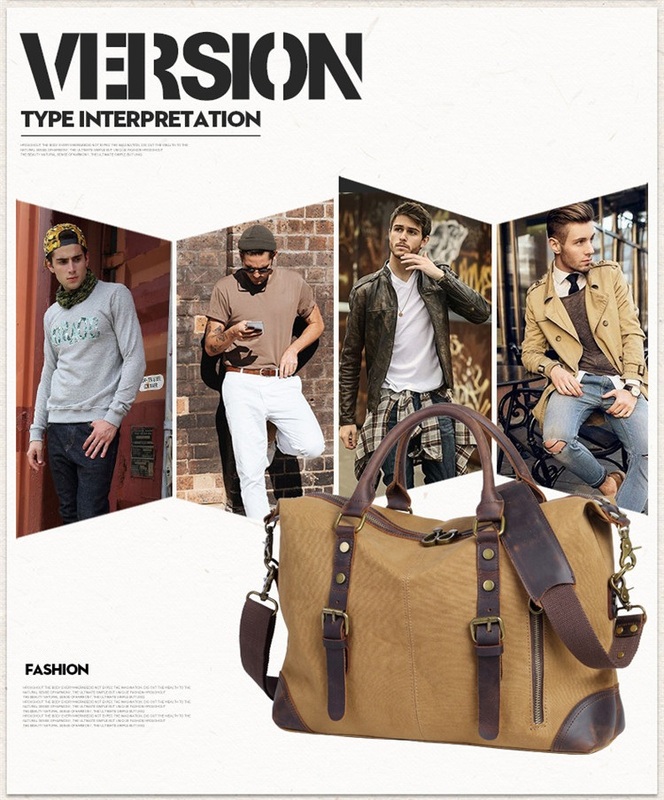 FUNCTIONAL BAG: Personalized good looking appearance, ideal for daily use at school, work, weekend, outdoor holiday, outdoor activities, occasional travel, gyms etc. 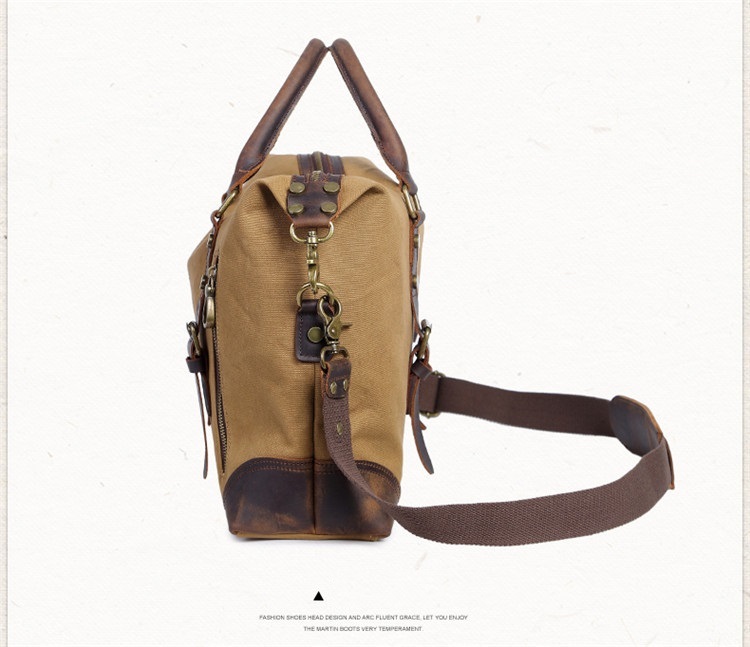 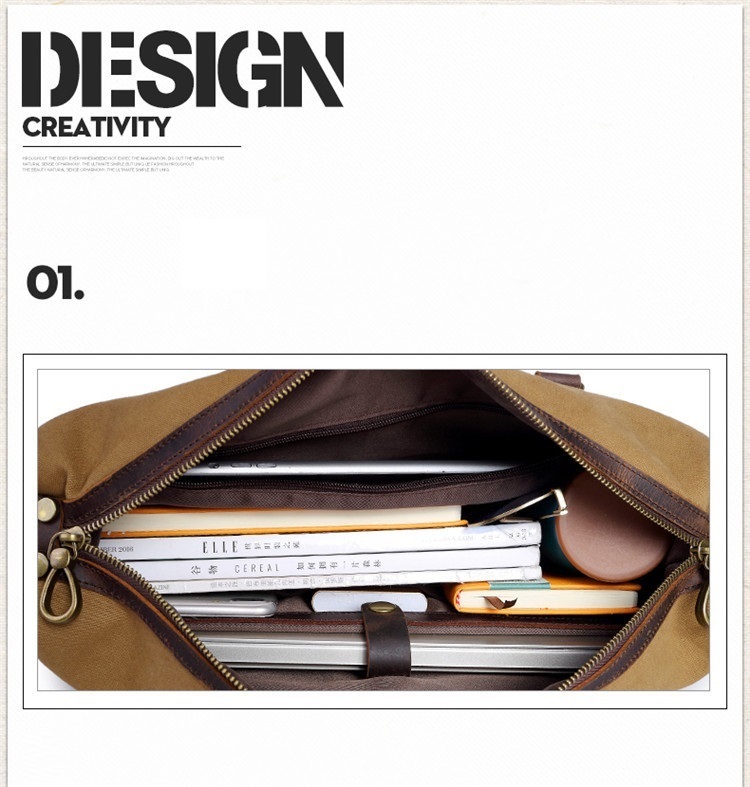 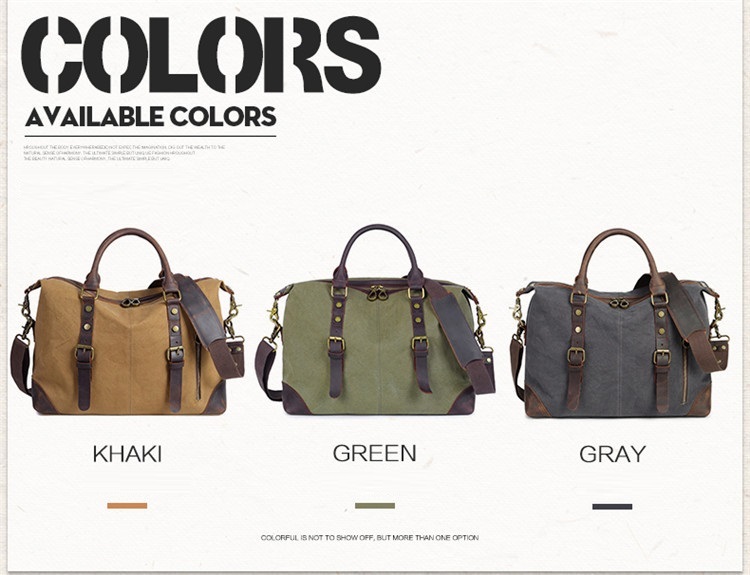 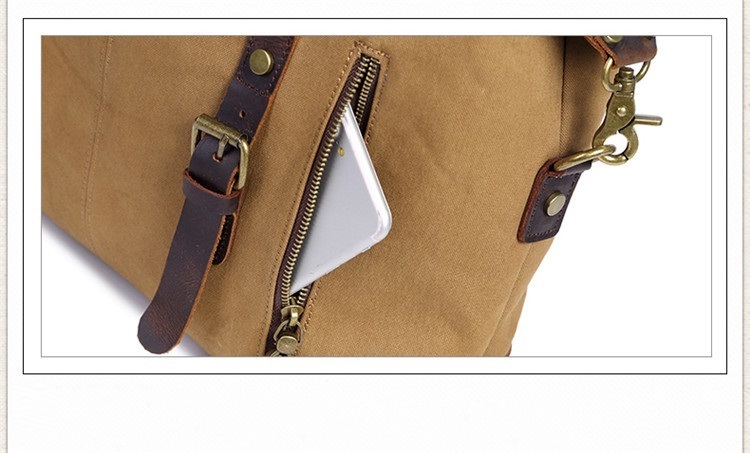 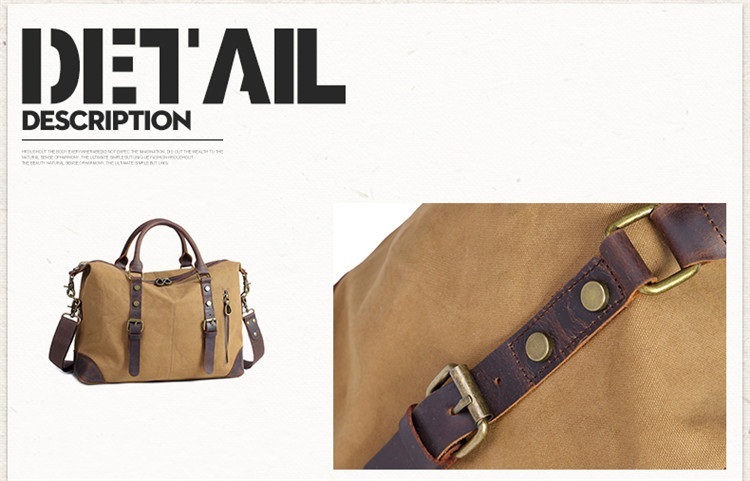 EASY TO CARRY: Shoulder strap is detachable and can be adjusted at the most suitable length. 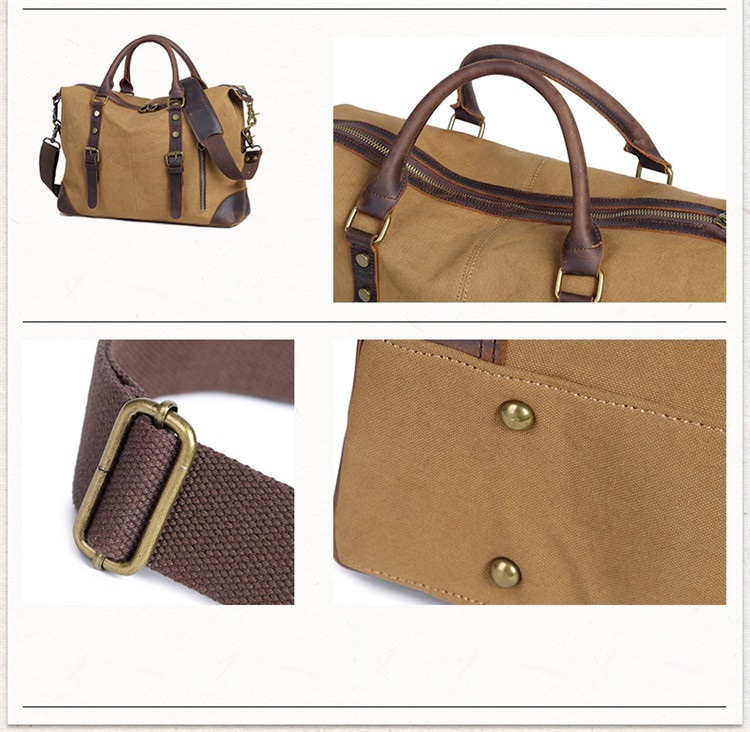 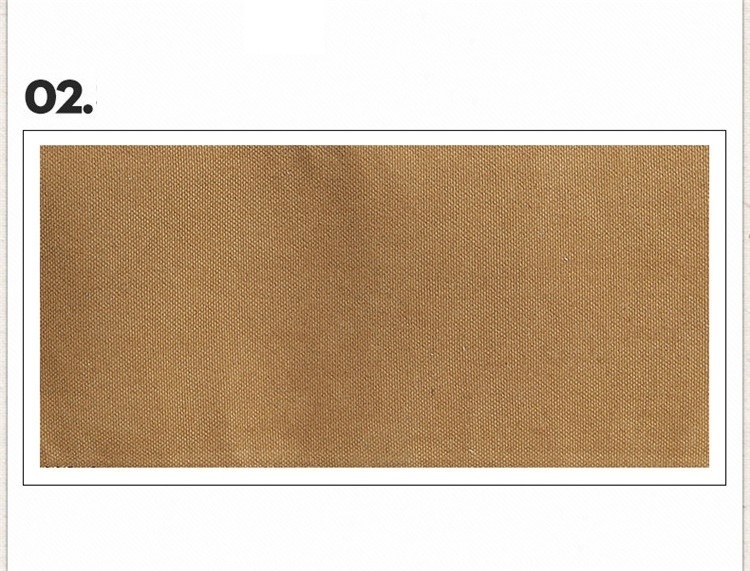 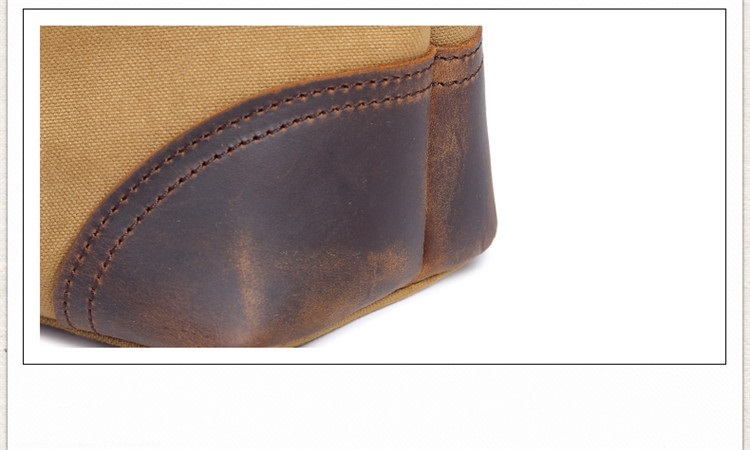 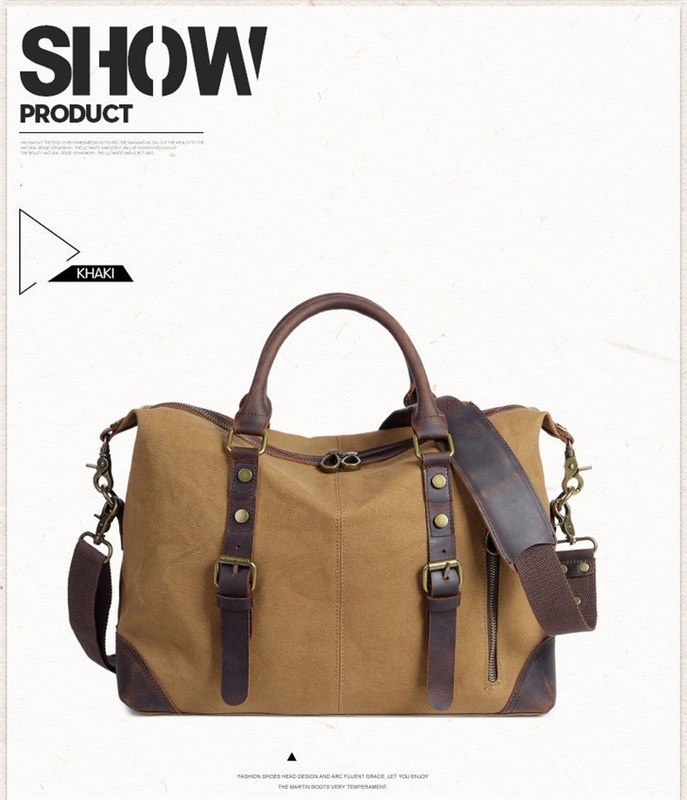 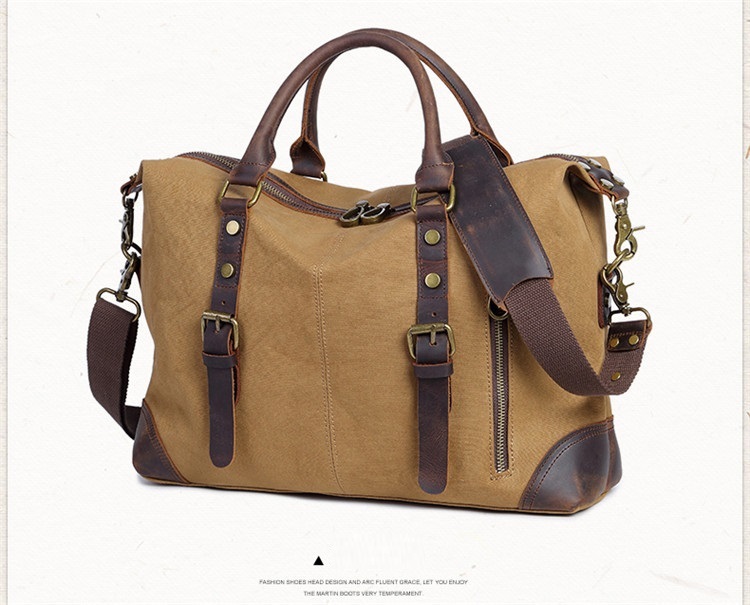 Leather handle and broad strap are also helpful to ease your fatigue. 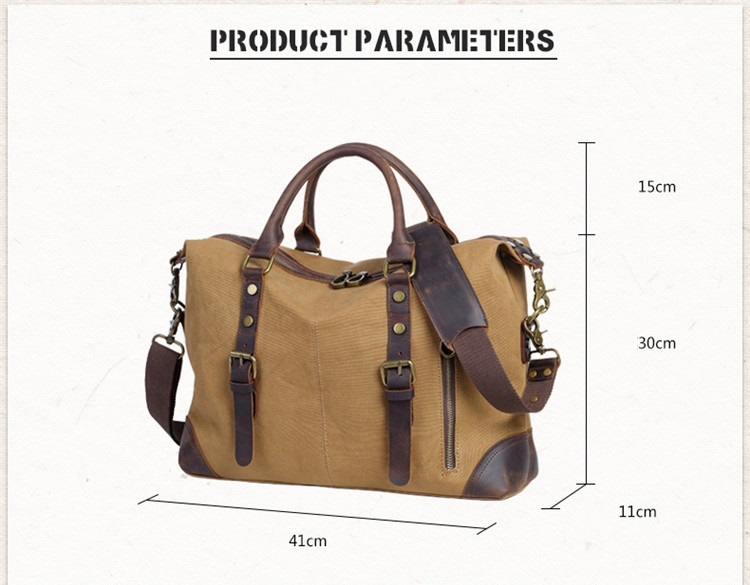 DIMENSION(L x H x W): 16.1 x 11.8 x 4.3 Inch / 41 x 30 x 11 CM; Weight about: 1 KG; Fits Most 14 Inch Laptop.